Today we’ve got apps for anything and everything, so why would music education be excluded? Learning how to read notes, more about music composers, even playing an instrument has never been easier than now, seeing that everything can be found at our fingertips. You don’t have to pay for those pricy piano lessons anymore when you’ve got apps that help you learn how to play it on your tablet. We’ll agree, however, that nothing can substitute for the real instrument, but these apps can get you acquainted with the world of music and with them you’ll learn easily and with no pressure. Here are some of the best apps for learning music that are currently available, and we’ll be talking about apps for both Android and iOS, so that everyone can find something to their liking. We’ll start from the foundation. If you’ve never had much to do with music at all, then the first thing you need to know is how to read notes. For many this can be a dull task, but Music Tutor Sight Read Lite is an app that makes sure for you have fun while learning. This app is designed as a form of an educational game that is mixed with all sorts of tests, as well as the study section where you can learn through answering questions about notes and staves. 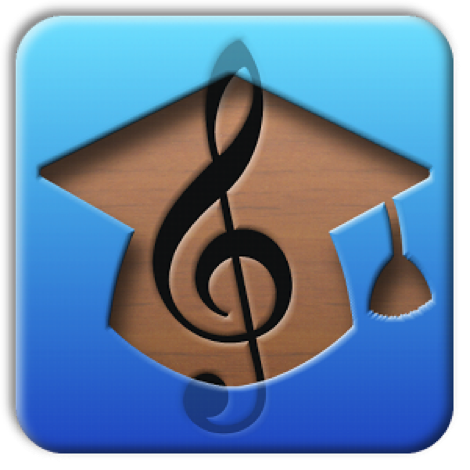 All things considered, this is a learning app that won’t burden you with what you must learn and when, like is often the case with music classes. Here, you’re picking the pace you want to follow, which will result in more productive learning and less time spent. 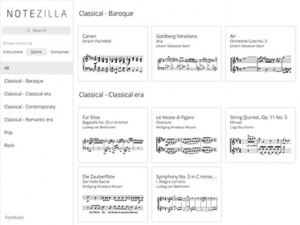 Coming straight from the iStore, Notezilla is a great tool for everyone who wants to learn to read and write music and are a devoted user of iPhones and iPads. This app definitely works better on iPad though, as you can see what is going on the screen more clearly. 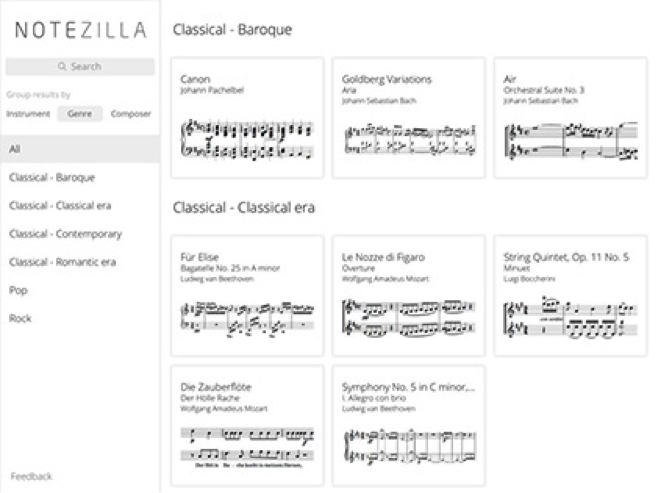 With Notezilla, you’ll learn how to read notes by listening to a piece of music. On the screen, you’ll get notes written on the music sheet and as the music plays, the notes flow over the screen. If the tempo is too much for you, you can always slow it down, just be sure you got everything right. Along with learning more about notes, you should dedicate some time and learn about the tempo of the music as well, and nothing can help you more than a metronome. 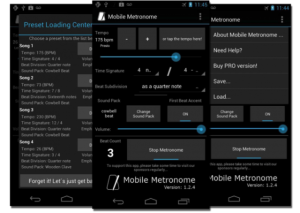 Of course, we’re not suggesting you carrying the real deal with you, but the Mobile Metronome free app will do the job just fine. 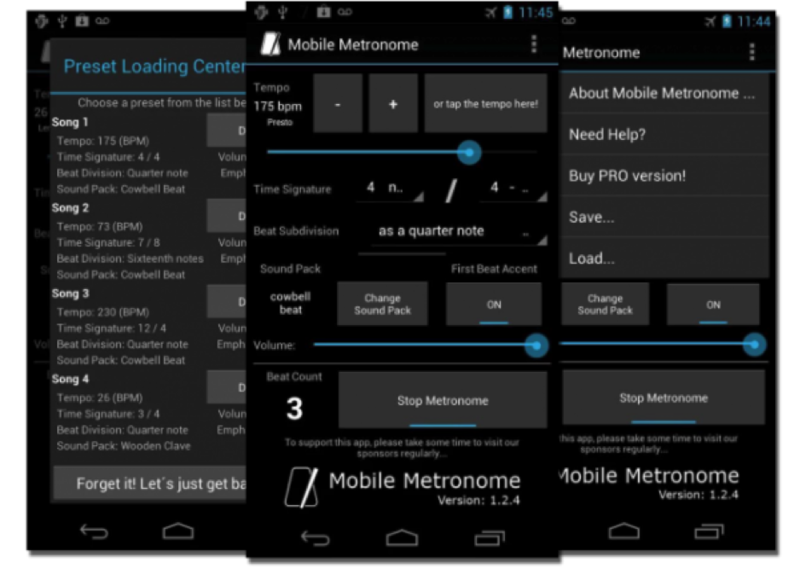 This app has a lot of useful features, including tap tempo, your metronome beats can go from 10 BPM to up to 230 BPM. With Mobile metronome, you’ll also get a beautifully designed visual beat counter and you can even adjust tempo signature, in case you’re in the mood for more of a challenge. Needless to say that this app is very practical for all music novices, but is particularly good for all those newly found drummers out there. Though finding high quality music app that is also free isn’t always easy, Steinway Metronome seems to combine the best of both worlds. 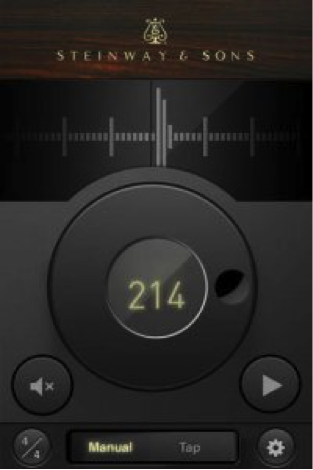 You’ll get a very straightforward app here that will, in an elegant and easy way, give you the knowledge of different types of tempo and how to set them apart. There are nine different time settings you’ll be able to choose from and the app will even tell you the music terms of any tempo you play. It is very easy and fun to use as well. If you’ve been hanging out with guitar players at all, then you know that the Gibson guitar is something every one of them strives to have. 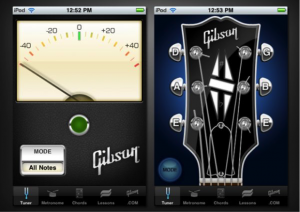 Well, thanks to Gibson Guitar Company, now you can have a Gibson app on your iPad without paying a fortune for it, like you would have to do for a real instrument. You have a lot to choose from with this app – guitar lessons, metronome, an excellent instrument tuner that is used via your iPad’s microphone, and much more! The sheer beauty of this app is enough to download and try it. The downside of this app is that it isn’t available for download in all countries, due to geo-blocking! Piano was one of the first instruments that was transformed into an app and xPiano does it very well! Naturally, don’t expect to learn the advanced playing techniques with this app, but it will provide you with solid basic knowledge, as well as with hours of enjoyment. With the free version of the app, your piano will have four octaves and 12 instruments. 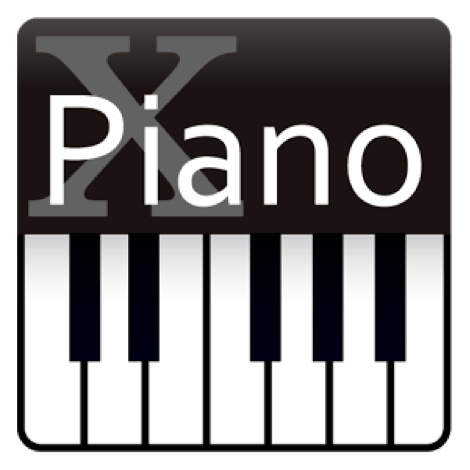 If you don’t mind paying for xPiano+ edition, then you’ll get five-octave piano and 128 instruments, which is practically an orchestra on your Android device. Once you’ve progressed enough, you can record and then play to yourself (and to others, if you’re confident enough), so you can hear your sound! This app boasts that it is the most authenticate sounding piano app available, so it is just like having a real piano in front of you. But the top-notch sound is only the beginning because this app is also 3D, which means that you’ll even feel as though your playing a real instrument. 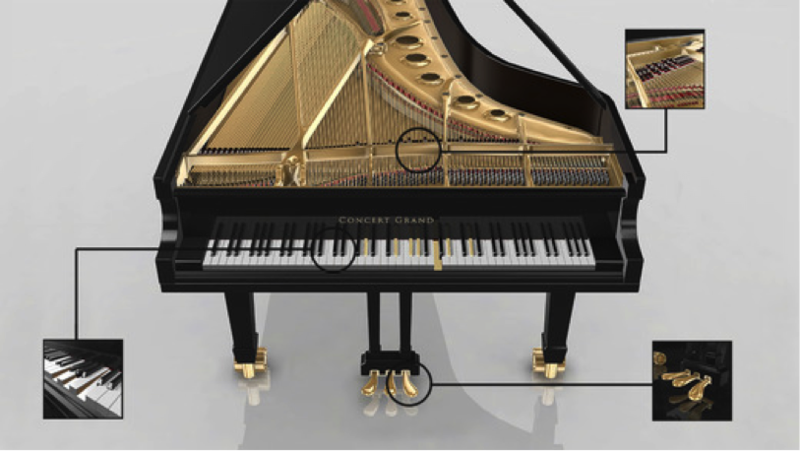 The keyboard is multi-touch, which means that you can use both of your hands when playing and there are 750 songs that come with Piano 3D, which you could learn how to play. 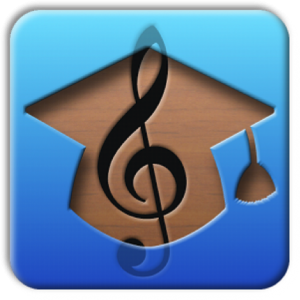 This is a very functional and all-in-one piano app that provides you with a great learning tool for your musical aspirations. 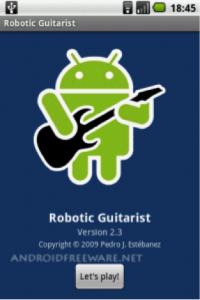 Probably not to much surprise, guitar apps are very popular in the music app world and many recommend Robotic Guitarist as a great head start, even if you’ve got some experience in real guitar playing. If you’re completely new to the guitar world, this app will quench your thirst for knowledge with multi-touch playing and chord simulator, where you can choose a chord you want to practice and then position them on the tablet as you would on a guitar neck. This app packs a few more very interesting features that you can discover by downloading it and trying it out. As you can see, you don’t have to pay a lot to learn more about music, in fact, thanks to aforementioned magnificent apps, you don’t have to pay a dime, but you can still get a lot from them. If you are a true music aficionado, with time you will want to move on to the real deal when it comes to instruments, but for all beginners out there, these music apps will spark your love of music and make you work harder because it’s fun. Adam Ferraresi’s biggest passions in life are everything concerning World Wide Web and writing. 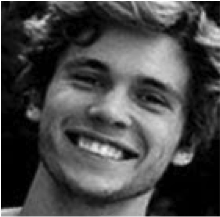 This 23-year-old web developer is stationed in Dallas, Texas, where he spends his time working and often writing interesting articles for wefollowtech.com. Besides being a tech aficionado, Adam spends his free time listening to music and playing basketball. Previous: RoundUp August 2016 – Back to Life, Back to School: EdTech For the New Year!